While driverless cars and fuel cell vehicles remain the hot topic, Mercedes will focus development big time on in-car infotainment as well, with your smartphone as the starting point. Till now, Silicon Valley was best known for being the area where established tech brands like Apple, Google and Facebook are based. Now, Mercedes Benz are also a part of that holy group, with the German automaker opening a new research and development centre. The newly opened centre will add to the carmakers existing development bases globally, and is possibly the clearest proof of the convergence of automobiles and the technology you use. 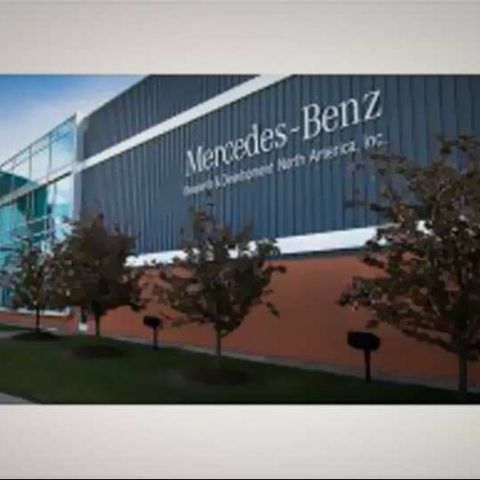 The centre is called Mercedes-Benz Research and Development North America (MBRDNA). Mercedes will focus on a bunch of new developments at the centre, which include self driving vehicles and high-tech driving aids. The S-Class luxury sedan is currently one of the leading cars in the market in that regard. Fuel cell and electric vehicles are also a big thing for Mercedes, and development of these technologies will take place at the Silicon Valley’s MBRDNA base. But, in-car infotainment still remains a big part of Mercedes’ plans. Recently, the Google Glass integration was completed, and the automaker waits for Google to officially release the smart eyewear, before it deploys the updated infotainment system in its cars. Mercedes believes that the newer infotainment and telematics systems will allow users to “continue their digital lifestyle in their vehicles”, with your Android or iOS smartphone or tablet at the very middle of all that. At the moment, 100 people are employed at the MBRDNA, but Mercedes plans to double this in the next few years.